Home News Wildlife 40 percent of deer-vehicle collisions occur Oct.-Dec.
40 percent of deer-vehicle collisions occur Oct.-Dec.
Officials at the West Virginia Division of Natural Resources are urging motorists to use extra cautious while driving in the fall when vehicle collisions with deer tend to rise. More than 40 percent of deer-vehicle collisions take place during breeding season between October and December, according to Tyler Evans, a wildlife biologist with the division’s Wildlife Resources Section. The state’s rugged terrain may also contribute to collisions, as the highest quality deer habitat is often found in valleys and bottomland areas, where conditions allow for agricultural production and may also promote an abundant supply of mast and other natural food sources. High-yield food-source areas also support many of the state’s public roads, Evans said. Regarding the deer breeding season, deer-vehicle collisions are likely to increase for a few reasons. Late October and November coincide with the “rut,” or peak deer-breeding season. Increases in deer activity and movement during this period can increase the likelihood of deer-vehicle collisions. “Additionally, many hunters will take to the woods this fall. Their presence may also influence movement of deer and may increase the likelihood of a deer-vehicle collision,” Evans said. Be aware of your surroundings and make use of your peripheral vision. 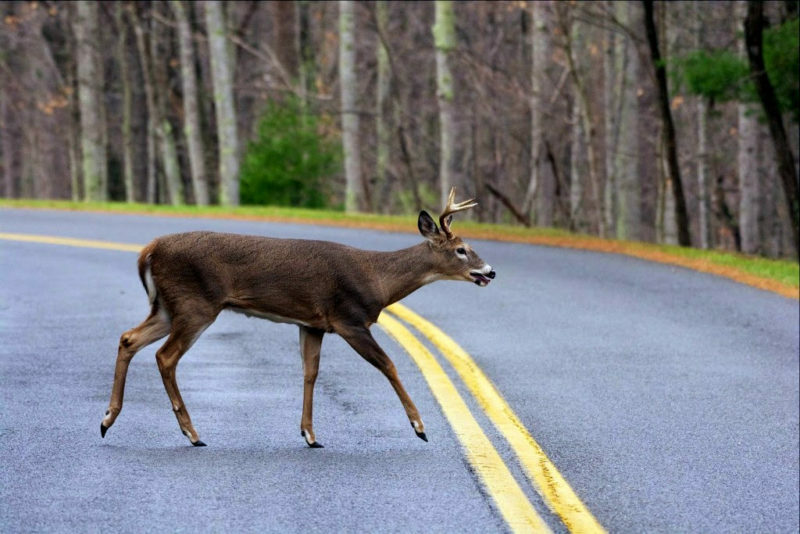 If you see a deer in the roadway, immediately reduce your speed and honk your horn using short blasts. Drive at a reduced speed, especially during early morning and late evening hours when deer movements are likely to increase. Do not swerve or leave your lane to avoid a deer. If you encounter a deer in or adjacent to the road, slow down or stop until it is safe to proceed. If you see one deer, look for more, as they often travel in small groups. Always drive defensively. For more information on wildlife in West Virginia, visit the W.Va. Division of Natural Resources website. Previous articleHidden History photo exhibit moving across southern W.Va.